Become an Ottosource customer and enjoy preferred rates and discounts at Eurrotech. Superb service and premium quality auto repairs with experienced certified auto technicians. Most of our vehicles will come with a warranty that will protect you nationwide, please ask for details. Real customers! Real reviews! Check these reviews and see for yourself why Ottosource is one of the fastest growing dealers in the state! When you buy luxury, you should go to dealership that directly deals with luxury brands and at OttoSource, that is what we do. We specialize in late model certified luxury vehicles, from BMW, Mercedes-Benz, Lexus, Land Rover, Porsche and many more. Get the dream car that you've always wanted and if we don't have the vehicle you want in our inventory then we will work hard to find one for you. OttoSource is the place to go when looking for a quality pre-owned luxury vehicle in the Dallas area. We offer some of the best deals in the area and we make it possible for you to be driving your dream car. When it comes to luxury vehicles, customers are willing to come from all over to get the vehicle of their dreams. OttoSource offers free airport pickup and we ship across the entire country, so if you are unable to come to us we can make sure that your new vehicle arrives safely to you. We have customers come from all around to visit us in Dallas. We have customers come from Houston, Austin, San Antonio, Arlington, Plano and even Oklahoma City. 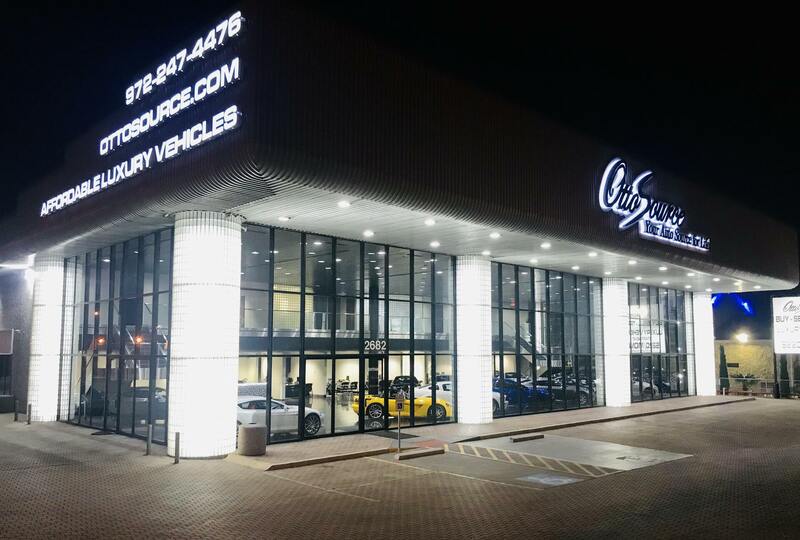 If you live near the Dallas and surrounding areas then come to OttoSource for all your luxury vehicle needs.